MCR has been busy testing their new parts for the R35 GT-R, the test consists of dialing in the new suspension from Endless and the new exhaust system build by ARC. The test are conducted on the Fuji Speedway. I find one detail interesting, because they are running on the standard R35 rims and not the Enkei GTC1 Evolution. Why is that I wonder, I guess it has something to do with the tires. 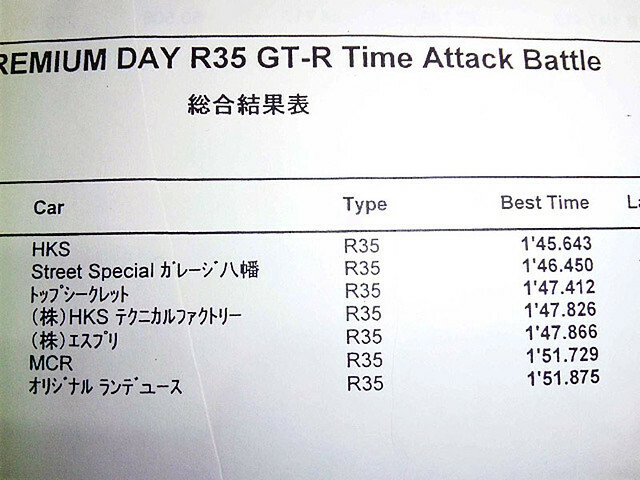 The time that MCR made on Fuji was 1:54.902 that’s 2 seconds slower than the Mine’s R35. Maybe that’s because Mine’s uses a proffesional race driver and the founder of MCR drives the car itself. The white ‘350Z’ in the foreground is special Nismo 380Z RS owned by the founder of MCR Kobayashi San. The car has a set of Enkei GTC01 rims. Here you can see the new exhaust part that ARC designed this is a straight bolt on part made out of titanium. 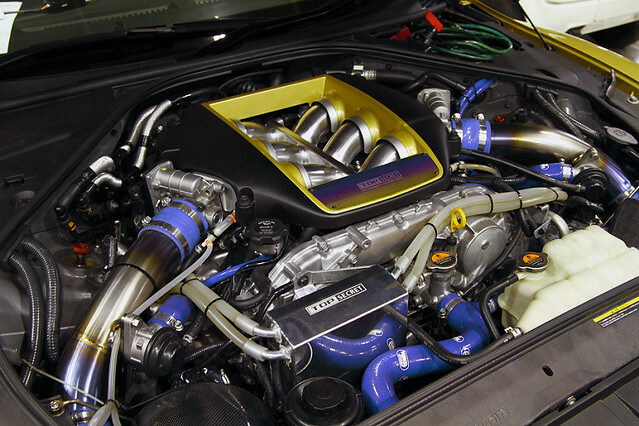 This system should give the R35 some more horsepower. We already saw that Mine’s extracted a few extra horsepower with only replacing the exhaust. During the HKS 35th Anniversary day, Niikura san (the owner of Mine’s) let the famous Tarzan Yamada drive in his R35 GT-R. He really got the car going and managed a 1:52.8 on the Fuji Speedway. 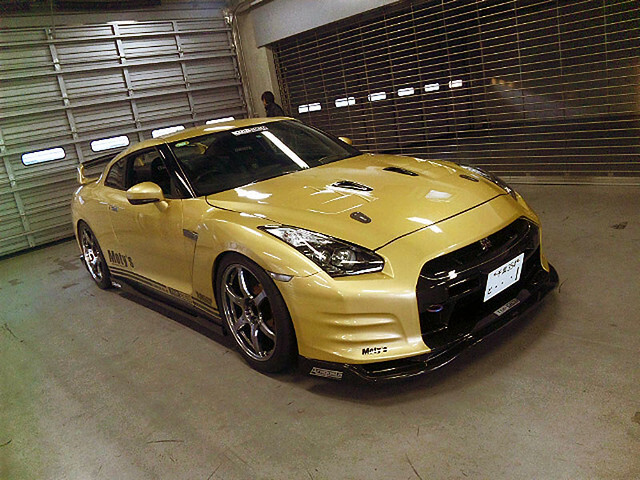 It’s not a record breaking time but it sure is a benchmark for the other Japanese Tuners and their R35’s. 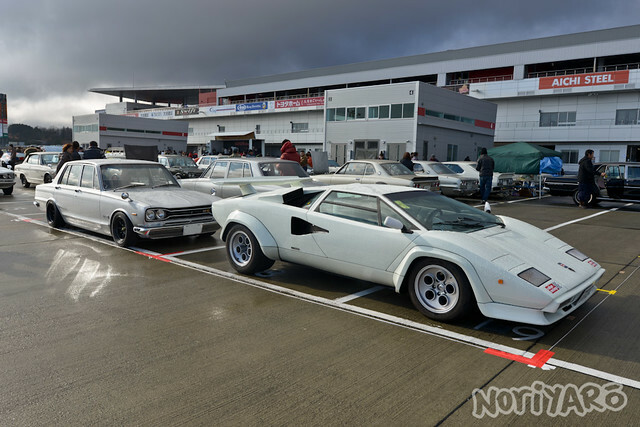 The Tokyo Auto Salon has just ended and already MCR is ready to take on the Fuji Speedway. 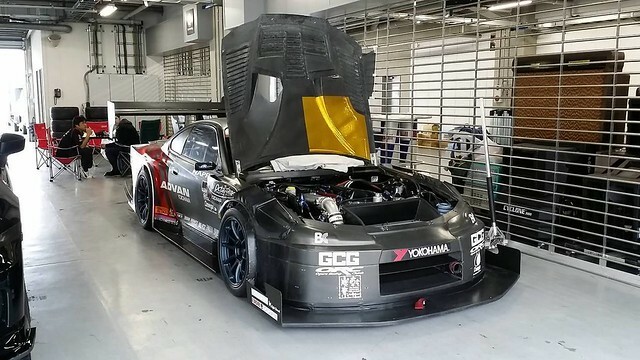 Together with their demo R34 they will do a Time Attack run with their R35 GT-R. Hope to do a update soon and tell you the time.